These presentation slides 48497 are complete compatible with Google Slides. Simple download PPTX and open the template in Google Slides. The style of this fabulous template perfectly suits any kinds of presentation connected with growth, triumph, new vision, step by step approach and action plans. The adorable solution of this template illustrates your ideas with the help of picturesque elements of design. 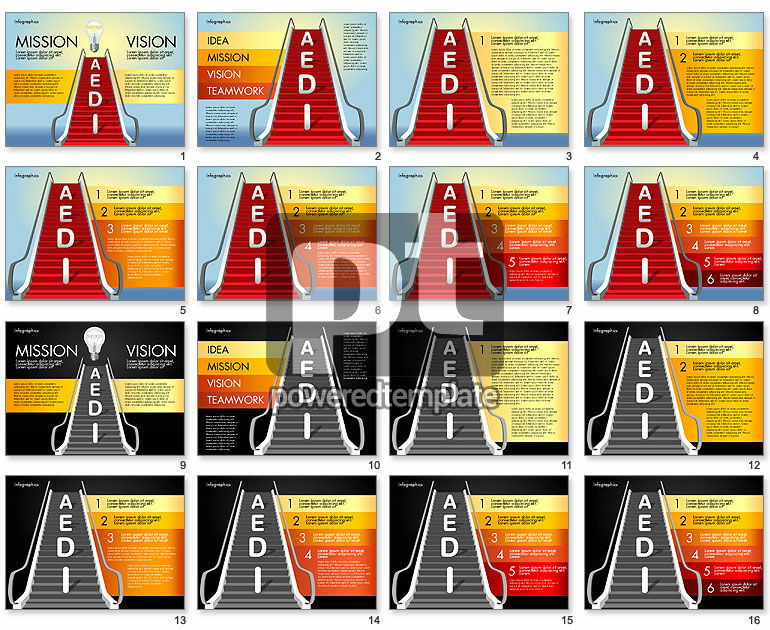 There are 2 kinds of background, escalator, idea light bulb, etc. The theme is created in blue, red yellow and black colors.